Green CDR with silver non-playing surface with black titles. Housed in plastic wallet with colour paper insert. 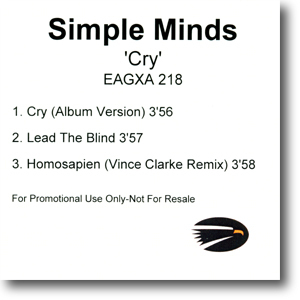 This is the most common promo for the Cry single but is becoming rare. Watch out for copies - the CDR should have black text and the Eagle logo, whilst the paper insert should have an Eagle logo with a colour beak. Green CDR with silver non-playing surface with black titles. Housed in plastic wallet with colour paper insert featuring single's artwork on one side. 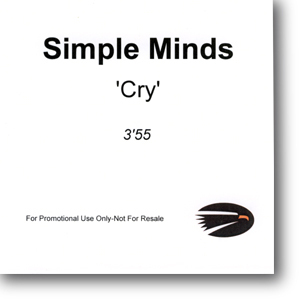 This promo was always the rarest of all the Cry promos. Watch out for copies - the CDR should have black text and the Eagle logo, whilst the paper insert should have an Eagle logo with a colour beak and the single's artwork on the other side.